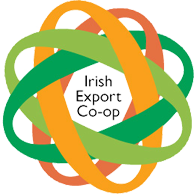 How is the export cooperative funded? We are fully funded by the members of the cooperative. 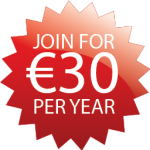 The more members we have the more income we have to spend on AGM’s, press releases, website maintenance and other expenses. We are a social enterprise set up to benefit our members. Chris MM Gordon is a starter, business and social entrepreneur. He has helped create stories and opportunities for local, national and international organisations in an engaging way. Chris is a Social Innovation Fellow with StartingBloc, a Pathfinder Fellow from the Tällberg Foundation, Founder of Positive Informatics and a few things more. He holds a record of most number of leprechauns in one place and tries his best to help others do more and see further. David O’Brien is a doer. He is the co-Founder of SME Capital Funds and instrumental in the development of the Irish Export Cooperative. Eddie has extensive experience in social media pr, public relations, marketing, multi-media communications and event management in different roles. He enjoys working in innovative, challenging and objective driven work environments. A confident self-starter with excellent communication skills he enjoys teamwork equally as well as the drive required to work independently to meet project requirements.